Material: CO2 cartridge & AFFF foam. Ideal for use on Class A & Class B type fire. Available in 6 & 9 ltr capacity. 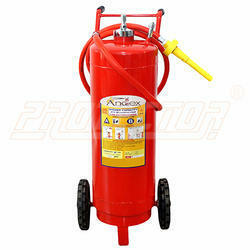 we are dealing in mechanical foam type fire extinguisher , and providing to our customers. Specification & Capacity: AFFF Mechanical Foam IS Spec: 10204: 9 liters. & 50 liters. as per IS: 13386 latest revision. - Anti- Corrosive treatment: Body coated with epoxy powder coating / phosphorylated. Specification & Capacity AFFF Mechanical Foam IS Spec: 10204: 9 ltrs. & 50 ltrs. as per IS: 13386 latest revision. Anti- Corrosive treatment Body coated with epoxy powder coating / phosphiatised. 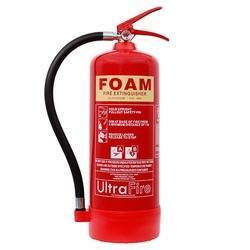 Store Pressure and Cartridge operated Foam extinguishers are ideal for fires involving volatile liquids and freely burning materials such as paper, cloth, wood and furniture.